What killed Nkaiserry? Was he assassinated or died natural? His family explains the government contradiction on the controversial death. - Bana Kenya News, Real African Network Tubanane. Home featured Nairobi What killed Nkaiserry? Was he assassinated or died natural? His family explains the government contradiction on the controversial death. What killed Nkaiserry? Was he assassinated or died natural? His family explains the government contradiction on the controversial death. 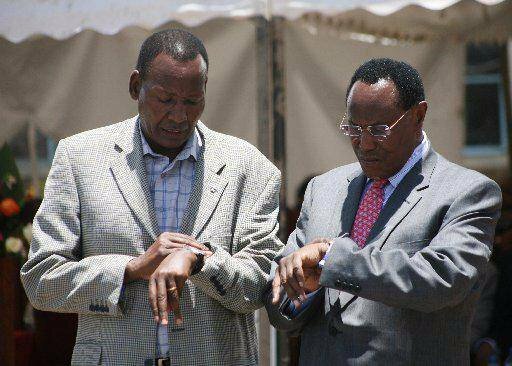 What Killed Joseph Nkaiserry? Many people have been talking and creating stories about what transpires to the demise of the Interior CS. Two theories had hit on the ground following the death of the powerful minister and the Maa community kingpin. The government alleged made contradictory statements that had to be verified from the family members of what happened on Saturday Morning when the CS met his death. "He had a prolonged cough and we decided to take him to the hospital on Saturday dawn. We accompanied him together with our family doctor and close friends to Karen Hospital. " Says his Cousin. "We left our mom behind as we rushed our dad to the hospital but we are not sure if he died on the way or at the hospital. Our dad did not suffer anything, he came home jovial on Friday after the national prayers." his adopted child said. The government issued a statement that he was diagnosed at Karen Hospital before he met his death. Through police spokesperson Eric Kiraithe, the CS died in the hospital where he was getting medication. Today Morning, the Karen hospital director and the doctors declined the government statement saying he was already dead when he reached the hospital. They also said there was no medication and even he was not admitted to the hospital for any cause or disease. The main question is what caused the death of Nkaiserry? Political analyst claims that he was assassinated and eliminated because of some political and governmental issues. The political experts claim that it is a matter of time everything will be known.